9225. Lois A WESCOE (Ida B ROTH , Florence M BITTLER , Oscar Monroe , Jerome B , Mark , John , Johannes ). Lois married David J KURZEJA, son of Frank KURZEJA and Anna SCHULER. David was born on 14 Jan 1938 in Allentown, Lehigh Co, PA. He died on 12 Feb 2002 in Hospice Of Jefferson County, Wellesley Island, Jefferson Co, NY. David was issued a social security number in 1951/1952 in PA. He graduated from Allentown High School in 1956. He worked as apprentice machine tool designer with Bethlehem Steel. He worked as supervisor in the numerical control programming department with Bethlehem Steel Corp. until 1986. He resides in Nov 1986 in Alexandria Bay, NY. He resides in Feb 2002 in Wellesley Island, Jefferson Co, NY. He was a member of Wellesley Island Fire Department (15 yrs). He was a member of Riverside Cemetery Association - President in Wellesley Island, Jefferson Co, NY. 14736 F i Jane KURZEJA. 14737 M ii Clarke KURZEJA. 9226. Raymond A WESCOE 1, 2, 3 (Ida B ROTH , Florence M BITTLER , Oscar Monroe , Jerome B , Mark , John , Johannes ) was born on 25 Feb 1947 in Allentown, Lehigh Co, PA. He died on 15 Jun 2006 in Slatington, Lehigh Co, PA.
Raymond was issued a social security number in 1963 in PA. He resided in Nov 1986 in Slatington, Lehigh Co, PA. He worked as Parts Manager with Fuel Injection Sales & Service Inc from 1986 to 2006. He was a member of Allen O. Delke American Legion Post 16 - Commander in Slatington, PA. He worked as Bartender with Slatington American Legion. He served in the military with U. S. Army - Viet Nam War (armored division) in Germany. + 14738 F i Jamie WESCOE. 9229. Robert Scott "Scott" BITTLER (Donald Oscar BITTLER , Oscar Ervin BITTLER , Oscar Monroe , Jerome B , Mark , John , Johannes ). 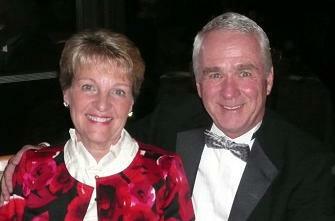 Scott married Barbara Jeanne HENDRICKS. 14739 F i Michele Louise BITTLER. 9236. Molly Louise RAYBORN (Virginia Alice POORMAN , Bertha E VANBLARGAN , Ellen C BITTLER , Jerome B , Mark , John , Johannes ). Molly married Guy H REED. 9238. John Robert BITLER (Robert Francis , John Wallace , Theodore Cornelius , Jerome B , Mark , John , Johannes ). John married Donna K KEELING, daughter of Henry F KEELING and Margaret Kathryn SMITH. Donna was born on 28 Mar 1949 in Washington, Washington Co, PA. She died on 16 Aug 2004 in At Home, Lexington, MA. She was buried on 20 Aug 2004 in Westview Cemetery, Lexington, Middlesex Co, MA. Donna graduated with Mercy Hospital School of Nursing in Pittsburgh, Allegheny Co, PA. She worked as Registered Nurse - Core, Inc. in Burlington, Middlesex Co, MA. She is a member of Catholic?. + 14742 F i Stephanie Lynn BITLER. + 14743 F ii Suzanne Marie BITLER. 9239. Janet BITLER (Robert Francis , John Wallace , Theodore Cornelius , Jerome B , Mark , John , Johannes ). 14744 M i Justin DAVIS. 9240. Richard F BITLER (Robert Francis , John Wallace , Theodore Cornelius , Jerome B , Mark , John , Johannes ). 14745 M i Matthew BITLER. 14746 M ii Christopher BITLER. 9241. Vernon Russell "Russ" BITTLER [scrapbook] 1, 2 (Vernon Theodore BITTLER , Oscar Monroe BITTLER , Theodore Cornelius , Jerome B , Mark , John , Johannes ) was born on 30 Nov 1946 in Scranton, Lackawana Co, PA. He died on 30 May 2015 in Bradenton, Manatee Co, FL. Russ resided in Feb 1967 in 23 Cambridge Ave, Lincoln Park, Berks Co, PA. He resided in Jun 1996 in Apalachin, NY. He resided in 2000 in Apalachin, NY. He was a member of Boy Scouts of America - Eagle Scout. Russ married Elizabeth R SPANG "Beth" about 28 Jul 1969 in Berks Co, PA.
14747 M i David Russell BITTLER. David married Jennifer Renae BALES. + 14748 F ii Christine E BITTLER. 9242. John D BITTLER (Vernon Theodore BITTLER , Oscar Monroe BITTLER , Theodore Cornelius , Jerome B , Mark , John , Johannes ). John married Ann Louise MURRAY. 14749 F i [Female] BITTLER. 9243. Karen E CARPENTER (Margaret A BITLER , Oscar Monroe BITTLER , Theodore Cornelius , Jerome B , Mark , John , Johannes ). Karen married James R VOJTISEK Jr.
14750 M i Brandon VOJTISEK. 14751 M ii James VOJTISEK III. 14752 F iii Stacey VOJTISEK. 9244. Kathy A CARPENTER (Margaret A BITLER , Oscar Monroe BITTLER , Theodore Cornelius , Jerome B , Mark , John , Johannes ). Kathy married John J BRANCA. 14753 F i Erin BRANCA. 14754 M ii Christopher BRANCA. 9245. Kim A CARPENTER (Margaret A BITLER , Oscar Monroe BITTLER , Theodore Cornelius , Jerome B , Mark , John , Johannes ). Kim married Peter A VOJTISEK. 14755 M i Michael A VOJTISEK. 14756 F ii Michele VOJTISEK. 14757 F iii Nicole VOJTISEK.